Versatile - Pavers can be used in any outdoor space, and are suitable for installing on driveways, walkways, patios, decks, pool areas and more. 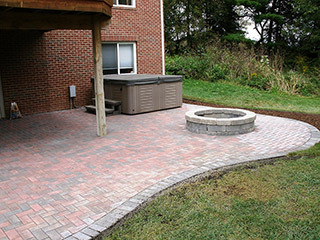 Durable and Long-Lasting - Pavers are extremely resilient in the rain, sun, and snow! Easy Installation – If the compacted sand in your desired paver area is in tip-top condition, our team can install quickly and with ease. Easy to Maintain and Repair - Pavers are very low maintenance features, needing an occasional pressure wash. Sealing your pavers also makes them more resistant to dust, dirt and oil stains etc., typically needing to be re-sealed every two years. 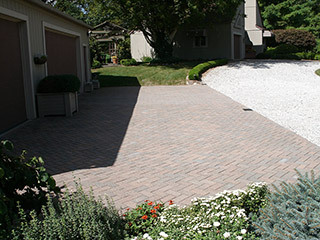 Paver repair is typically painless, as only the damaged units need to be replaced. At AK Lawn Care, we handle every aspect of your job from start to finish. Call us at 734-439-3063 and speak with our experts about your paver needs.